Byju’s has, without a doubt, been the more visible startups of the year. 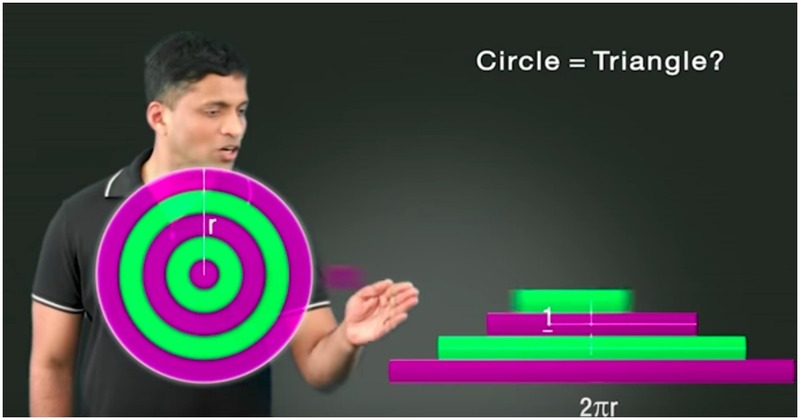 It ran an extensive television campaign featuring founder Byju Raveendran as he explained how a circle inexplicably became a triangle, and then roped in Bollywood superstar Shah Rukh Khan to explain to parents how Byju’s made learning fun. But in spite of the big ticket (and expensive) promotions, Byju’s seems to be doing alright. Byju’s has more than doubled its revenues for FY17, reaching a total income of Rs. 250 crore for the year ending March 2017. Its revenues for the same period last year were Rs. 110 crore. And even as the company’s revenues have doubled, its losses haven’t quite increased at the same rate — Byju’s losses rose to Rs. 59 crore this year, up only 20% from Rs. 49 crore last year. The numbers are in line with the announcement the company had made in June this year, when it had said that it had 4 lakh paying customers. Each of these customers, Byju’s had said, paid an average of Rs. 10,000 a year to access its training materials. That translated into a revenue run rate of Rs. 400 crore a year. But Byju’s seems to on track to beat that number by next year. “The company is on target to cross Rs 550 crore in March 2018,” said founder Byju Raveendran. “We aim to turn profitable by then,” he added. Byju’s is only the latest in a series of startups that have announced strong financial results in FY2017. Swiggy had managed to raise its revenues 6.5 times this year while its losses only rose 1.5 times, and Zomato had managed to raise revenues 81% while cutting losses by 34%. Oyo raised its revenues 7x compared to last year, and cut its losses by 27%. These results are in stark contrast to the results that Indian startups have been seeing over the last few years. Most startups had seen their losses rise to unsustainable levels, leading to much turmoil — several companies had shut down, and even some unicorns, such as Snapdeal, had had to fire employees. But the companies that have withstood the tumult of the last few years seem to have emerged stronger — and seem to be on track to become large, viable businesses.